V good, well worth the money, def buy again. Thanks. Home All RayZor Sunglasses Rimless Sunglasses VENTZ: RAYZOR WHITE FRAMED SPORTS SUNGLASSES WITH A 1 PIECE VENTED RED IRIDIUM MIRRORED ANTI GLARE LENS. VENTZ: RAYZOR WHITE FRAMED SPORTS SUNGLASSES WITH A 1 PIECE VENTED RED IRIDIUM MIRRORED ANTI GLARE LENS. Lightweight White Frames Manufactured from a Shatterproof Polycarbonate Compound, With Red Rubber Head Grips and a Red Nose Pad. VENTZ: RAYZOR WHITE FRAMED SPORTS SUNGLASSES WITH A 1 PIECE VENTED ORANGE IRIDIUM MIRRORED ANTI GLARE LENS. 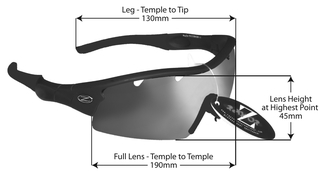 VENTZ: RAYZOR BLACK FRAMED SPORTS SUNGLASSES WITH A 1 PCE VENTED IRIDIUM ORANGE MIRRORED ANTI GLARE LENS.